(New York, NY) – September 24, 2016 – Land Rover North America returned as the official vehicle for one of the world’s most iconic equestrian events, the Rolex Central Park Horse Show, which took place in the heart of New York City. Under the bright lights of the New York sky line, spectators saw some of the very best competitors in equestrian sport coming together to perform in Central Park’s Wollman Rink. Highlights included double victories from two-time Olympic Team Gold Medalist McLain Ward, a display from the world-famous duo of Charlotte Dujardin and Valegro, award-winning pure bred Friesian stallion, Frederick the Great, along with a special ceremony to honor the U.S. equestrian Olympians from the 2016 Olympic Games in Rio de Janeiro, Brazil. The red carpet was rolled out in the arena as the Olympic stars arrived in in a Range Rover HSE and a Range Rover Autobiography Long Wheel Base to be honored in front of the sell-out crowd. Among those honored were U.S. Dressage Team Olympic Bronze medalists Steffen Peters, Laura Graves, Allison Brock, and Kasey Perry-Glass; U.S. Show Jumping Team Olympic Silver medalists Kent Farrington and McLain Ward; and U.S. Olympic Eventing Team member and winner of the Individual Bronze medal, Phillip Dutton. 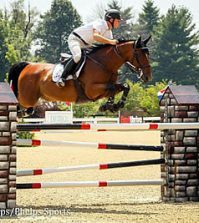 Rio Olympic Team Silver Medalist, McLain Ward, was unstoppable on Thursday as he clinched the top prize in the Open Canadian Pacific FEI Speed Class with a stunning round aboard the powerful, HH Carlos Z, in the time of 58.63 to seal their first Central Park Horse Show victory. Ward swiftly followed up his success with a second win in the crowd favorite Puissance competition. In the fourth and final round Ward went head-to-head with Andrew Kocher (USA) to face the imposing 6ft 9 wall against the iconic back drop of the New York City skyscrapers, with both unable to clear the wall the $50,000 prize fund was shared between them and were crowned joint winners. 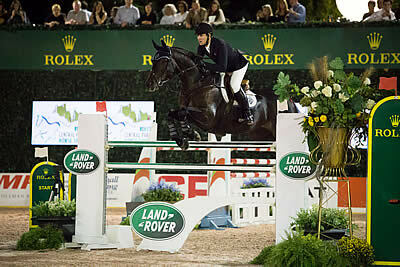 Friday culminated with the highly anticipated US Open CSI 3* Grand Prix presented by Rolex. 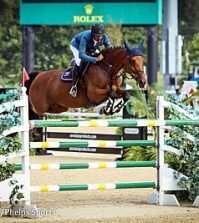 Included in the formidable line up were World no.2 Kent Farrington and 2014 winner Georgina Bloomberg. Olympic course designer Guilherme Jorge (BRA) set a tough course which saw only 10 horse and rider combinations advance through to the final round, in what promised to be a highly competitive jump off. 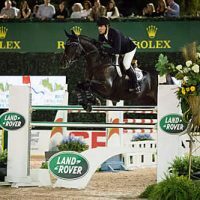 Spectators were treated to a nail biting finish which saw Jimmy Torano clinch the title aboard his eight-year-old Day Dream in the time of 37.05 seconds to claim the coveted Rolex Grand Prix title. 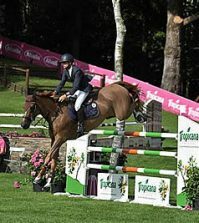 Sharn Wordley (NZL) secured second place with the only other double clear round in the competition and Conor Swail (IRL) had the fastest four-fault round to place third riding Cita. The international dressage Grand Prix CDI4* made its first appearance in the Wollman Rink on Friday afternoon and was won by Olympian Judy Reynolds (IRL) and Vancouver K with a beautiful round to finish on a high score of 73.80%. 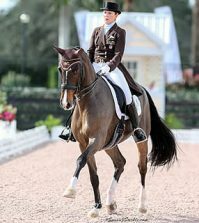 On Saturday night Ireland’s Judy Reynolds returned to the Wollman Rink for the US Open Dressage Freestyle Presented by Axel Johnson and claimed her second title at the Rolex Central Park Horse Show. Paired with her 14-year-old gelding, Vancouver K, Reynolds produced another stunning round with a final score of 77.051. 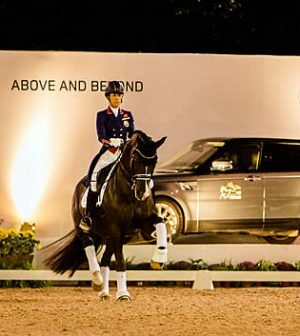 Three-time Olympic Champions, Charlotte Dujardin and Valegro, wowed the crowd with their breath-taking gold medal winning freestyle routine. The audience was on their feet as the world renowned pair performed for the first time since the Olympic Games in Rio. Michael Curmi, Brand Experience Manager, Jaguar Land Rover North America, LLC, said, “As a proud and longstanding supporter of the equestrian sport, we were thrilled to be a part of this unique event for a third consecutive year and are even more pleased with how the events unfolded.